WEST POINT, N.Y. — Benjamin O. Davis Jr. entered West Point in 1932 as its only black cadet and spent the next four years shunned. He roomed alone, and no one befriended him. The future Tuskegee Airman and trailblazing Air Force general later said he was "an invisible man." Now, more than a decade after his death, the academy that allowed Davis to be ostracized is honoring him. 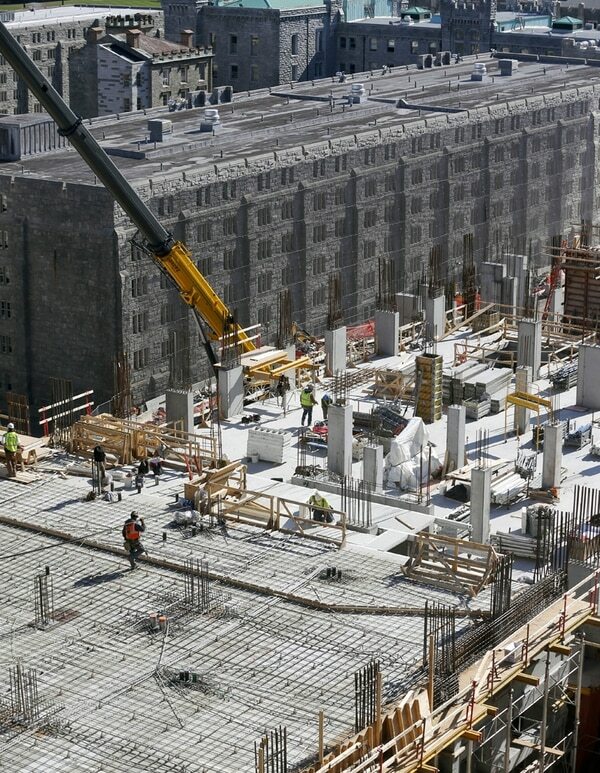 A new cadet barracks being constructed among the fortress-like buildings of the U.S. Military Academy will be named for Davis — a rare privilege previously granted to graduates with names like MacArthur and Eisenhower. Officials at the storied academy say Davis was a natural choice by dint of his career and character. It also gives the academy a chance to belatedly do right by Davis. "If you want to know what, 'Duty, Honor, Country' look like, just read a little bit about Benjamin O. Davis Jr., and your jaw will drop because he is the epitome of what we want at a time when we didn't know what 'right' looked like," said Col. Ty Seidule, the head of West Point's history department and a head of the naming committee. "So it's our chance to acknowledge one of our greatest graduates." Davis, who died in 2002 at age 89, has a history-soaked resume that includes commanding the all-black 332nd Fighter Group, known as the Red Tails, and becoming the first black general of the Air Force, which he joined in 1947. He retired as a three-star general in 1970 and was awarded a fourth star in 1998 by President Bill Clinton. West Point graduated its first black cadet at the tail-end of Reconstruction in 1877, though no black cadet had graduated in the 20th century when Davis arrived at the academy along the Hudson River. Some cadets clearly wanted to keep it that way. 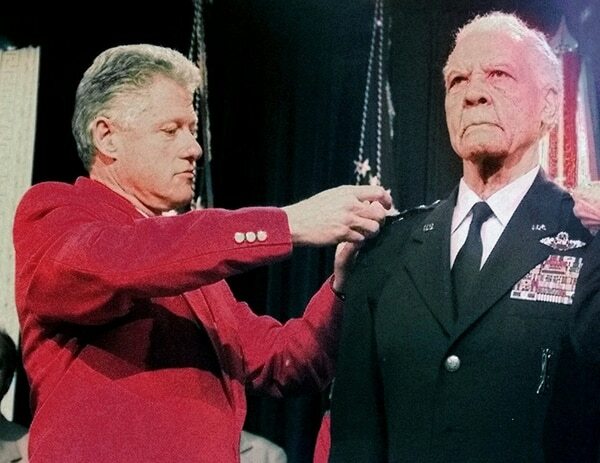 President Clinton pins a fourth star on the shoulder of Lt. Gen. Benjamin O. Davis Jr., USAF retired, during a Dec. 9, 1998, ceremony honoring his service. Davis was "silenced," a coordinated shunning usually reserved for cadets who violated the honor code. He roomed by himself, and fellow cadets spoke to him only as needed. Mess hall tables with empty places would be too full for him to sit at. "I was to be silenced solely because the cadets did not want blacks at West Point. Their only purpose was to freeze me out," Davis wrote in his 1991 autobiography. "What they did not realize was that I was stubborn enough to put up with their treatment to reach the goal I had come to obtain." Davis wrote that while West Point administrators could maintain the silencing was not official, "they knew precisely how I was being treated." Davis refused to buckle. He took long, solo runs through the surrounding hills, listened to his radio and wrote cheerful letters home. He graduated 35th in a class of 276. In the end, his steely tenacity won respect from the very cadets who made his four years so difficult. His yearbook entry notes that he earned "the sincere admiration of his classmates." 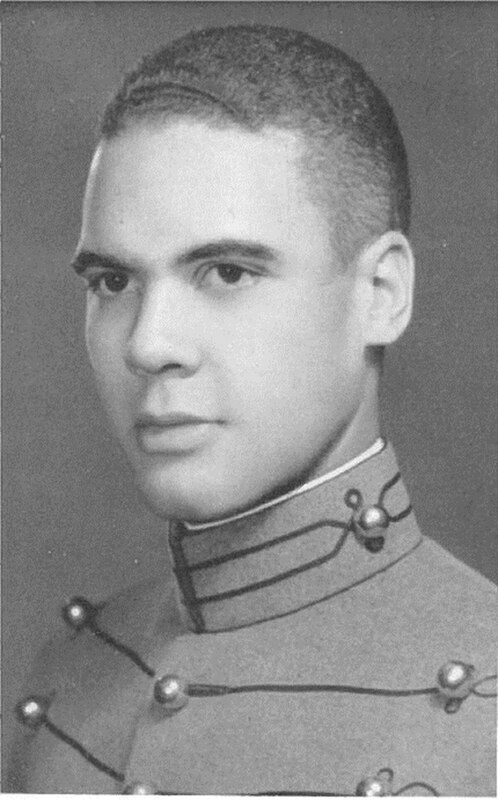 A cadet barracks that will be named in honor of Gen. Benjamin O. Davis Jr. is under construction April 28 at the U.S. Military Academy in West Point, N.Y.
Davis, a Washington, D.C., native, went on to a long career in which he persevered in the face of racism, notably with the pioneering Tuskegee Airmen. "He tried to tell us that it was not going be easy, because we had not been accepted as full citizens of the United States," said Needham Jones, 96, who served under Davis in the 99th Pursuit Squadron in ground support and the motor pool. "He said, 'Don't you let nobody tell you — don't you never believe — that you are inferior to anybody else,' ... it meant a hell of a lot to us," Jones said. Davis Barracks, set to open in January 2017, is now a rumbling, sprawling $186 million construction site jammed tight against older barracks. It will rise six stories, house 650 cadets and have a granite exterior to match the Cadet Chapel looming on a hillside above. The extra space will alleviate some crowding and allow West Point to shift around cadets as they modernize each of the current eight barracks. Seidule said Davis was an obvious choice not only for his character, but also because of his inspirational story and a career that highlights the role of West Point graduates in the birth of the Air Force. "This is not West Point at its finest hour," he said, "this is a chance for West Point to recognize one of its finest."